San Francisco has no shortage of really great ice cream establishments. In fact, I’d say we’re pretty much connoisseurs – we want unique flavors and fresh, local ingredients and we’re usually willing to pay top dollar – or maybe it’s just because we’re used to it. Either way, we are definitely spoiled! But the great thing about San Francisco and its culinary delights, we always welcome more. 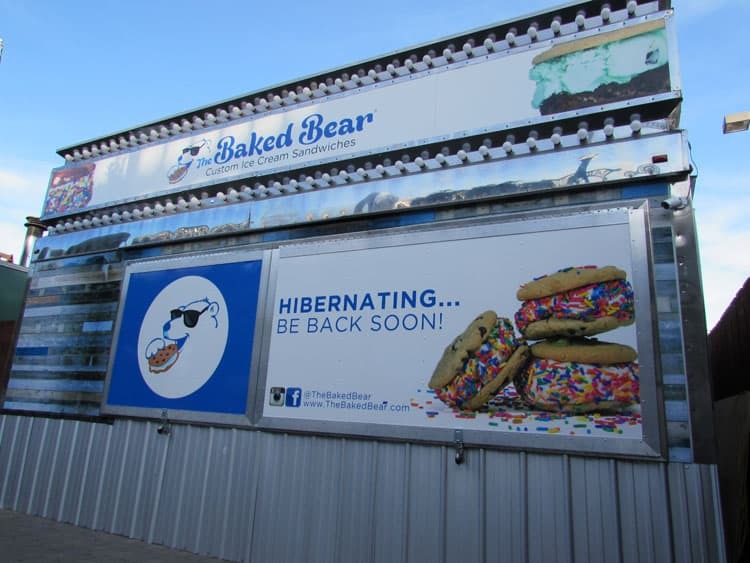 So it’s with open arms that we receive the decadent ice cream sandwiches from Baked Bear. The brainchild of these two handsome fellows, childhood friends Rob Robbins and Shane Stanger. Joseph Halloum the person we can thank for bringing this ice cream treat to San Francisco is friends with the founders and after spending time with them, he was convinced that San Francisco was going to love it too. The San Francisco version is a family business run by Joseph, his wife, his mother, as well as his sisters and brothers. Whew, he’s brave! And unlike a lot of food you can buy in San Francisco restaurants (or food trucks) most items are $3.95 and nothing is over $6.00 – yes! 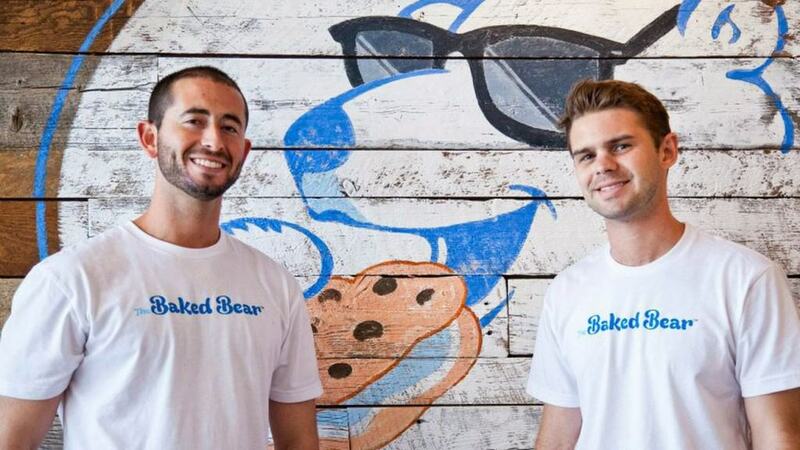 So what is Baked Bear? 1. Choose a sandwich top and bottom. Either a cookie, a brownie or a donut. And they can be mixed and matched, meaning you can have a cookie on top and a donut on the bottom – get crazy! 2. Choose an ice cream. There are currently eight flavors. 3. Add a topping. There are currently about ten options. 4. Then you can go all out and get the sandwich hot pressed! There’s also the “Bear Bowl,” a scoop of ice cream in a warm chocolate chip cookie or brownie bowl; as well as a hot fudge sundae and a root beer float. The debut cookie flavors for the new shop include chocolate chip, cookies and cream, funfetti, snickerdoodle, white chocolate macadamia and a “cookie of the month” such as lemon bar, mint chip, strawberry cheesecake or toffee walnut fudge. Follow them on Facebook as the cookie of the month is announced there at the beginning of each month. The first ice cream flavors will include birthday cake, butter pecan, cookies and cream, cookie dough, mint chip, rocky road, salted caramel, and vanilla. There is also a custom signature ice cream flavor coming soon to be called Bear Batter. You know you want one of these babies! 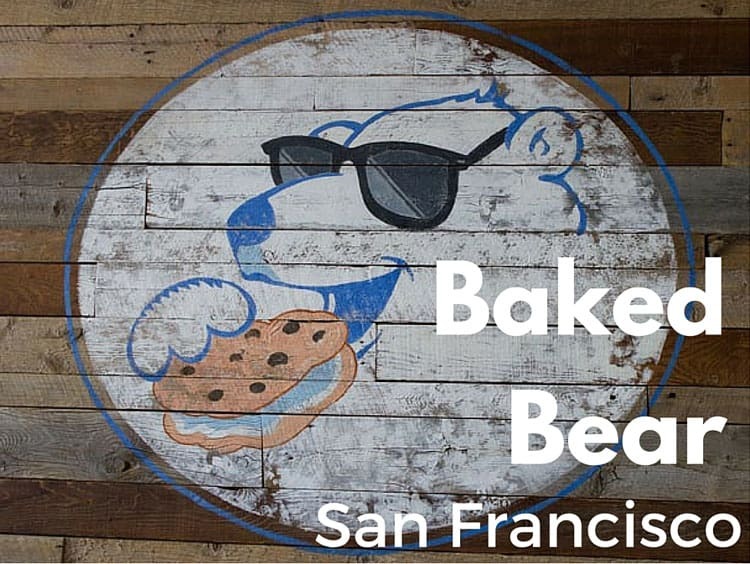 But before I let you loose to head over to Fisherman’s Wharf, I had the opportunity to interview Joseph and I wanted to share a little bit more about Baked Bear since it is new to the city. What was your “aha moment” that led you to open up Baked Bear in San Francisco or what led you to become an ice cream entrepreneur? It was a no brainer. San Francisco has a rich history of ice cream sandwiches with the creation of the “It’s-IT”. It is also a foodie hotspot where people have a discerning palate and appreciate quality. Our gourmet ice cream sandwiches are made from scratch using real ingredients. There is no better place to bring our ice cream sandwiches than San Francisco. I’ve seen you quoted as saying: “Once we get you trying one of these sandwiches, you’ll see the difference. It truly is a cookie we put a lot of effort into. We’re looking forward to providing something that isn’t your typical sandwich.” Tell me a bit more about the cookies, are they baked in-house? Our cookies are baked from scratch and in-house on a daily basis using our own recipes. We use locally sourced ingredients, fresh eggs, and real butter. Making our own cookies allows us to oversee the quality and freshness of our product that I think differentiates us. We can also be creative and provide a unique “cookie of the month” for our customers like our strawberry cheesecake cookie for this month. 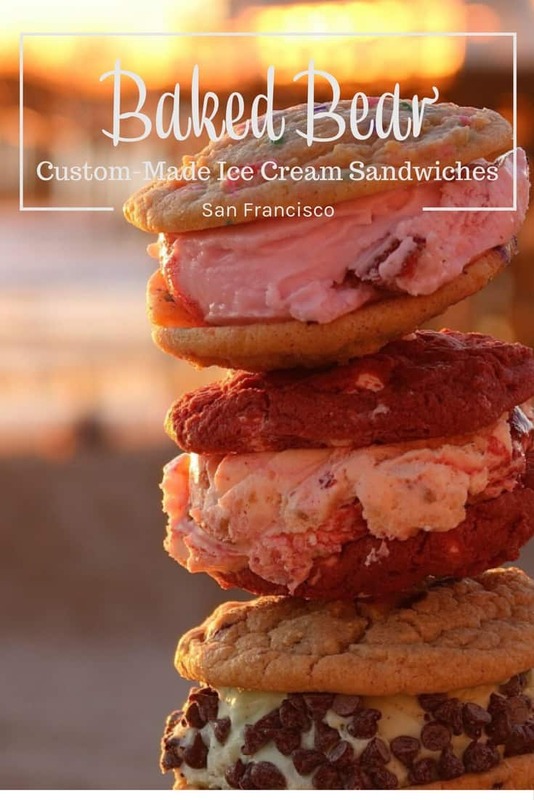 San Francisco has a lot of great ice cream makers to compete with, what do you think sets Baked Bear apart from other ice cream companies today? Our cookies are also specially-made with the ice cream sandwich in mind. They are freshly made so you taste all of the real flavors and soft and chewy so they hug perfectly around a scoop of our ice cream without ever falling apart. An ice cream sandwich should never taste stiff or result in ice cream squeezing out of the other side when you bite down. We have also developed our own premium craft ice cream that is rich and creamy without the high whipped or butter content you normally find in standard ice creams. We are also excited to be rolling out a new flavor, Bear Batter, which is a fun blue ice cream with brownie chunks and fudge clusters. What kind of experience do you want visitors to Baked Bear’s to have? 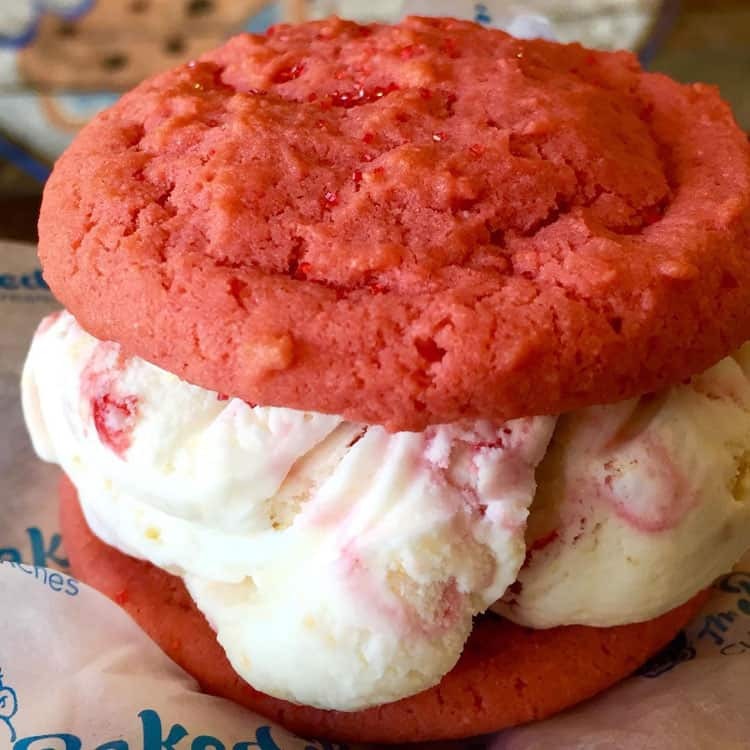 The Baked Bear provides a family fun atmosphere that goes hand in hand with what Fisherman’s Wharf is all about. We want customers to enjoy our gourmet ice cream sandwiches without feeling like they have to pay an arm and a leg. 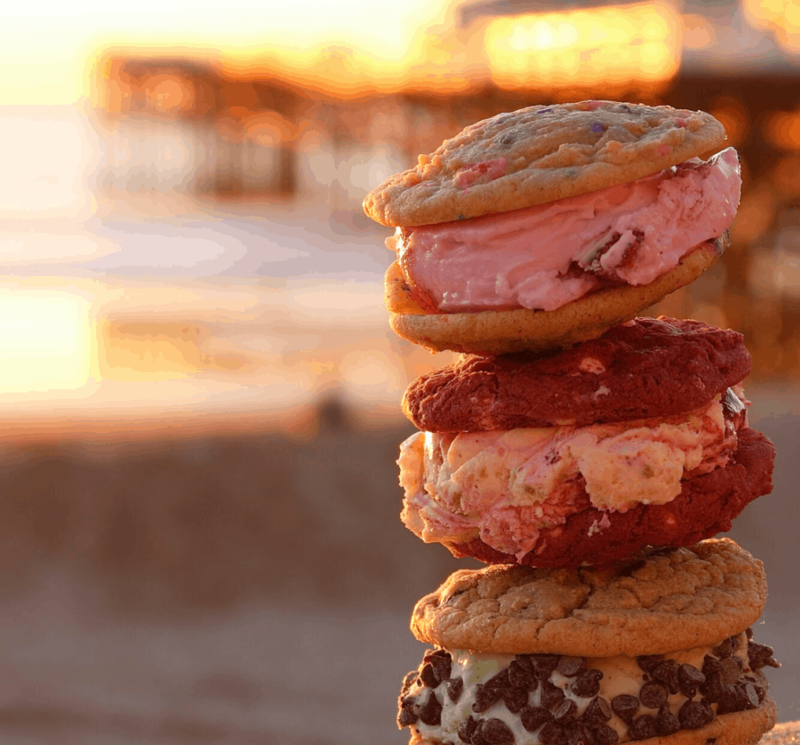 Our ice cream cookie sandwiches are not only homemade but are very affordable at $3.95, which is an incredible price point for Fisherman’s Wharf. I’ve read that there are over 1000 possible sandwich combinations, which is your favorite? I have two favorites. I love our Bear Bowls. We serve two kinds– a chocolate chip cookie bowl and a brownie bowl. They are soft and flaky on the outside and warm and gooey in the middle. I love to top off a Bear Bowl with birthday cake or cookies and cream ice cream and hot fudge drizzled on top. 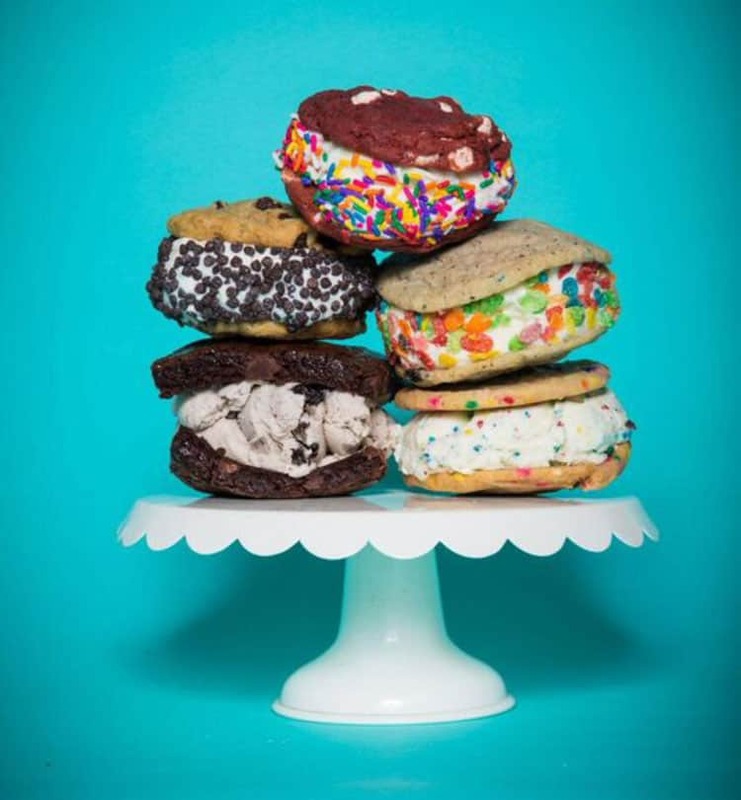 My second favorite is our donut ice cream sandwiches, which is our own donut with a scoop of ice cream in the middle. The donut sandwich is then hot pressed so the outside is nice and hot and then glazed with icing. Can you recommend any unexpectedly delicious flavor pairings? When you’re talking ice cream and cookies, it’s hard to say that any of our products don’t go well together. One thing that did surprise us is how well our customers have responded to our “cookies and cream” cookie flavor. It was originally a cookie of the month but due to popular demand, we had to keep it on our menu. And of course, for dessert, you know it’s got to be Baked Bear! Thank you so much Joseph for agreeing to answer my questions and for making me crave ice cream sandwiches! Check out their location on Fisherman’s Wharf for a real San Francisco (via San Diego!) treat! They are located at 2824 Jones Street, near Jefferson Street and are open between 11 a.m. and 9 p.m. – there is even outdoor seating! How about you? Are you a fan of ice cream and cookies? With 1500 combos to choose from, what two flavors would you like to put together? Do tell! I’m a huge ice cream fan. We were supposed be going to San Francisco next month but in the end it got canceled. My husband’s brother is about to go there so I will tell him to go check out this ice cream place cause it looks delicious. @Brandy, when you do eventually visit your brother, you should definitely check it out! If I lived in San Francisco, I’d make it my life goal to try one of each. This is a BRILLIANT idea and every sandwich you pictured looks divine. I have friends who live there, and I’ll definitely be telling them to get over to Baked Bear, if they haven’t already! @Jaime, go visit your friends and check it out for yourself! A custom designed ice cream sandwich sounds absolutely fantastic! I would get chocolate chip with chocolate. @Heather, I like your thinking! I might get chocolate with chocolate chip on the top and brownie on the bottom! Oh my. Looking at the photographs, I am getting hungry. Everything looks so good. Wow! What a great food concept! Someday I really want to go to San Francisco because of all the cool food options! They need to franchise and have one in Florida too! @April, I think it is PERFECT for Florida too! Oh, my kids would love this! Thanks for sharing. I’ll definitely go next time we’re in the City. @Jenna, you definitely must, especially since you get there a couple of times a year. Wow! I want one of these for dinner- haha! Seriously, they look amazing. I hope I get to try several version of them soon. @Julie, there is nothing wrong with ice cream for dinner! This looks sooooo good. Reminds me of Banyantreats in Maui – giant ice cream sandwiches just like these. Oh wow, those ice cream sandwiches are to die for. I would love to try them all. Yum. How delicious do these look? I would love to try them all, huge ice cream fan here and ice cream sandwiches are my weakness! @Jeanine, especially when the cookie is soft and gooey! Makes the sandwich extra good! @Denise, you and me both, and I hear you on the diet! Oh how I wish we had one of these here. This would be such a great place to take the whole family to for a wonderful treat and the prices are great. We have been talking about our family trip next year being to California. If so, we will definetly put this on the to do list. We love ice cream, cookies, root beer floats. Anything sweet!! I went to San Fran and stayed with a friend (that worked during the day). So most of my adventures were solo and before real internet searches. I had a blast and walked a lot even walked across Golden Gate bridge to Sausalito. I hope to go back and explore even more. Perhaps, I’d stop by this lovely place! Ice cream is a necessity on vacay. @Shelley, sometimes solo is the best way to go, you can do everything you want. You should definitely check out Baked Bear. Go have a burger at In n Out at Fisherman’s Wharf then have ice cream for dessert! @Linda, definitely do, what would be your go to combo? I’m so glad my husband wasn’t looking over my shoulder while I was reading this — he would’ve been trying to figure out how to ship these to Virginia! Looks wonderful. Now I am hungry for sweets. Thanks for sharing. Wow! This looks so incredible that if I had the money I would take a trip that way just to try this. I want two funfetti cookies with vanilla icecream in the middle! I wish they would open one where I live. The ice cream sandwiches look outstanding! I would love to visit this place while on vacation. The Ice Cream Sandwiches look mouthwatering. I would enjoy eating these. I appreciate the great idea for a summer treat. We arrived In San Francisco on March 19th and we have eaten one everyday since! Sooo yummy. Hey that’s what vacations are for. The Mom that runs the shop is so sweet. She remembered us from the first day. As I love ice-cream and especially ice-cream sandwich, this place is heaven on earth for me! I hope they consider setting up shop in Mumbai, someday! Oh my gosh I am drooling! I hope this becomes a nationwide thing! That ice cream looks delicious. Too bad I don’t have any fun restaurants where I live. Oh gosh, don’t those ice cream sandwiches look good? Wish we had something like that here in Northern Wisconsin. Would love to visit a shop like this. We don’t have anything like this in Northern Wisconsin! These look simply irresistible. I can’t get over the choice of flavor combinations! It’s like having the “Subway sandwich” of ice cream treats. These look so delicious! I may just have to make a trip across country just for these! What great ice cream sandwiches!.Wish I lived closer to get these. Oh yum, yummy, YUM! Now I’m going to have to make some cookies today! What a yummy concept, and if money was no object, I’d fly across country to have some of these. I’d have to try quite a few (not all at one time) so I can pick a favorite. Wow!